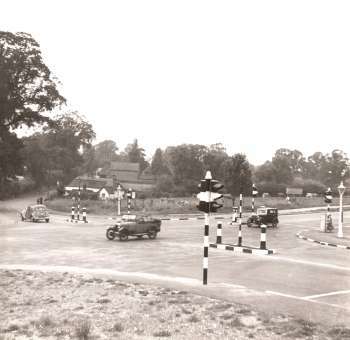 The Sidcup by-pass was part of a major upgrade of the London - Folkstone road and opened in 1926. 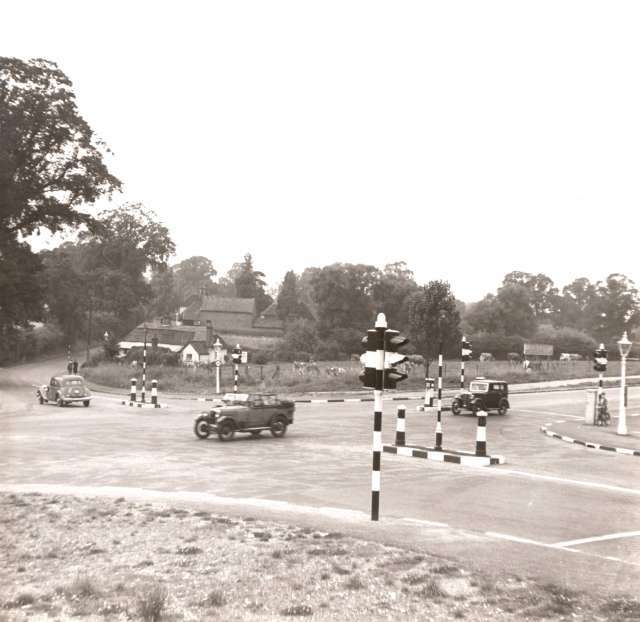 It was soon very popular, causing difficulties for traffic crossing from Sidcup to Chislehurst. The result was this early example of traffic lights, newly installed in this photo. This site is unrecognisable today, with the six lane A20 burrowing under the A222. Perry Street is seen passing to the left of the cottage in what is now the busiest road in Bromley Borough.